Do You Need To Rehome Your Current Pet? 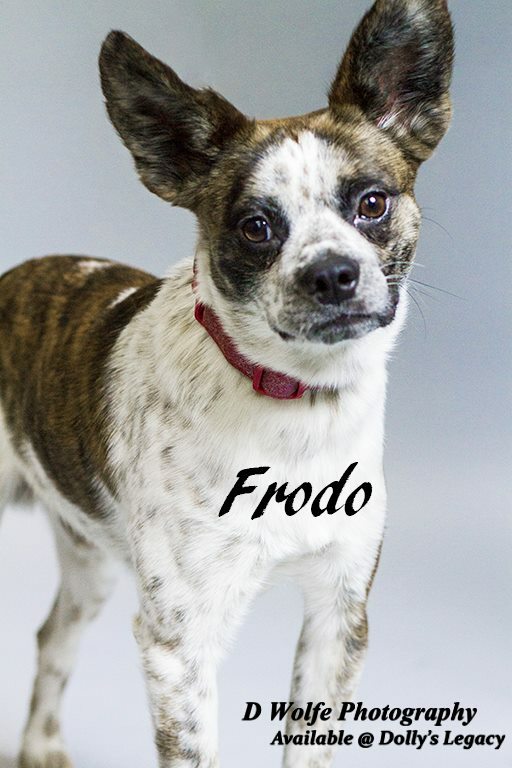 Description:Meet FRODO! Our very own Bo-Chi, a mix of Boston Terrier & Chihuahua! Frodo was a well-known 'neighborhood dog' that would climb his way into open windows of homes just so he could sleep with the resident's dogs. He was taken in by animal control a number of times, but would always find his way out of the shelter (a little Houdini!) and back to the neighborhood to visit & sleep with his doggy friends. No one claimed him, and finally animal control said that was his last chance. Dolly's Legacy heard the story of this sweet but sad little wandering boy and knew we had to save him, so Frodo made the journey from rural southeastern Missouri to us in Lincoln, Nebraska, to start a new chapter in his life. It is our promise to him that he will never again have to wander, looking for love, security or companionship. We vow to find him a home that will cherish him for the special boy he is, and love him unconditionally for the rest of his life. Frodo is estimated at 2 yrs old & weighs 20 lbs. He loves the company of other dogs, is interested in cats but mostly ignores them, and follows his foster mom everywhere. He craves attention & wants to be where his 'family' is, whether it be human or his furry foster companions. 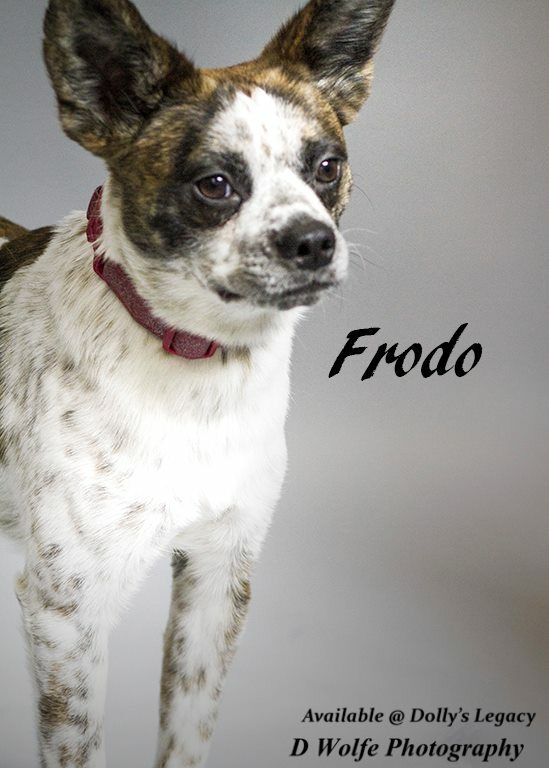 Frodo does not like to be confined to kennels and will outsmart them every time. He just wants to be where the action is, but more so, the love & attention he so desperately wants. He certainly deserves it after all he has been through. 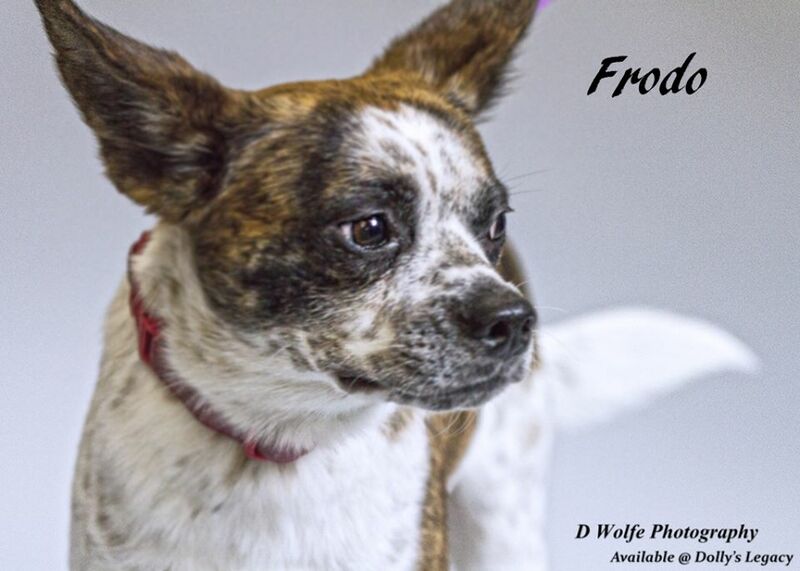 Frodo is neutered, vaccinated, microchipped, given flea/tick preventative & dewormed. He tested positive for heartworm disease so he is undergoing full treatment to cure him so that he can go on to lead a long & happy life. Treatment lasts 60-90 days then he will be ready to take on the world! Adoption fee is $300 . For adoption guidelines and to submit an application, please go to this link:http://dollyslegacyanimalrescue.org/adopt/ We are a foster-home based rescue group and do not have a facility. The first step is to have you complete our online adoption application. All adoption appointments are scheduled after your application has been approved. We are 100% volunteers & will generally reply within 3 days of application submission. PLEASE be sure to answer all questions completely or it will delay processing, be sure to include vet phone#. If you have any questions please email DollysLegacy@aol.com. Please 'LIKE' our facebook page to learn more about our rescue, see more pictures & get updates on all our adoptable pets!